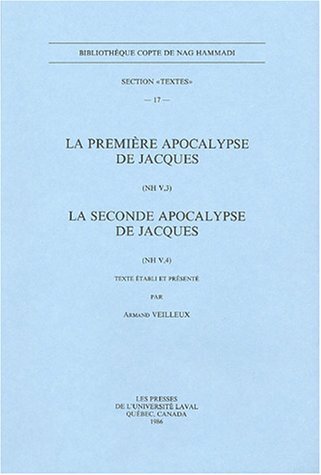 La premiere Apocalypse de Jacques (NH V, 3). La seconde Apocalypse de Jacques (NH V, 4). (BIBLIOTHEQUE COPTE DE NAG HAMMADI. SECTION TEXTES) by Peeters Publishers at Translate This Website. Hurry! Limited time offer. Offer valid only while supplies last.